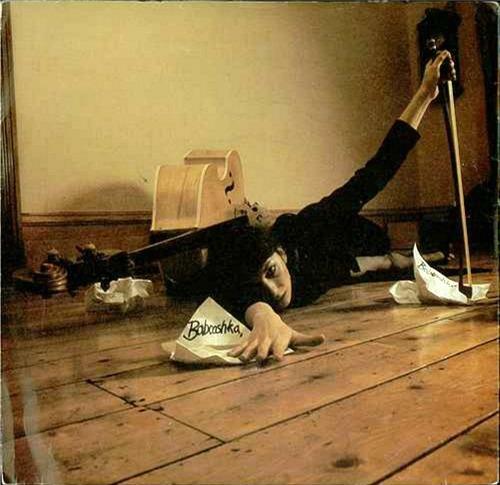 Released in June 1980, Babooshka was the second single to be released from Kate Bush's third studio album Never For Ever. The song was oen of Kate's more memorable and highest charting songs, and entered the British charts on 29th June at #63. A strong hook and plenty of airplay propelled the single to #16 on 6th July, and then into the top ten to reach #7 for two weeks from 13th July, before reaching a peak position of #5 on 27th July for one week, before falling to #6 the following week. Babooshka spent ten weeks in the UK charts in total, and was also a big hit in many other countires. The single was particularly well received in Australia, where it reached #2. The single also reached #4 in France and Norway, #5 in Ireland, Italy and Israel, and #8 in New Zealand. According to Bush, the songs lyrics (see below) tell the story of a paranoid wife who has a desire to test her husband's loyalty. She pretends to be a younger woman and sends him perfume scented letters, before setting a trap to meet up with him, destroying the relationship with her own paranoia about no longer being the attractive, young lady that she feels her husband desires. The unusual video features Kate's notoriously uncoventional dance movements, and we see her dressed in black and wearing a veil while caressing a double bass, which depicts her husband. Many would argue that Bush is the female version of Bowie, although at the time, she was more or less treated as a freak by many, rather than a breath of fresh air. Once the song reaches its chorus, Bush appears in dramatically different and more revealing russian(?) attire, looking uncomfortably similar to the Marvel character Red Sonja. The look was actuallly based on a character featuring in fantasy artwork by the greek artist Christos Achilleos. The B-side was a non-album track entitled The Ran Tan Waltz which lasts just 2:40. Apparently, Bush didn't realise that when she wrote the song the word Babushka meant old woman (or Grandmother) in Russian. However, this actually ties in well with the lyrics, with the wife feeling like she is no longer youthful and attractive.